Shipping: Within Hong Kong: 3-5 days if the product is in stock Outside Hong Kong: 7-14 days if the product is in stock Size: A4 Double side color-printed Two side with different patterns Designed by myself :) . 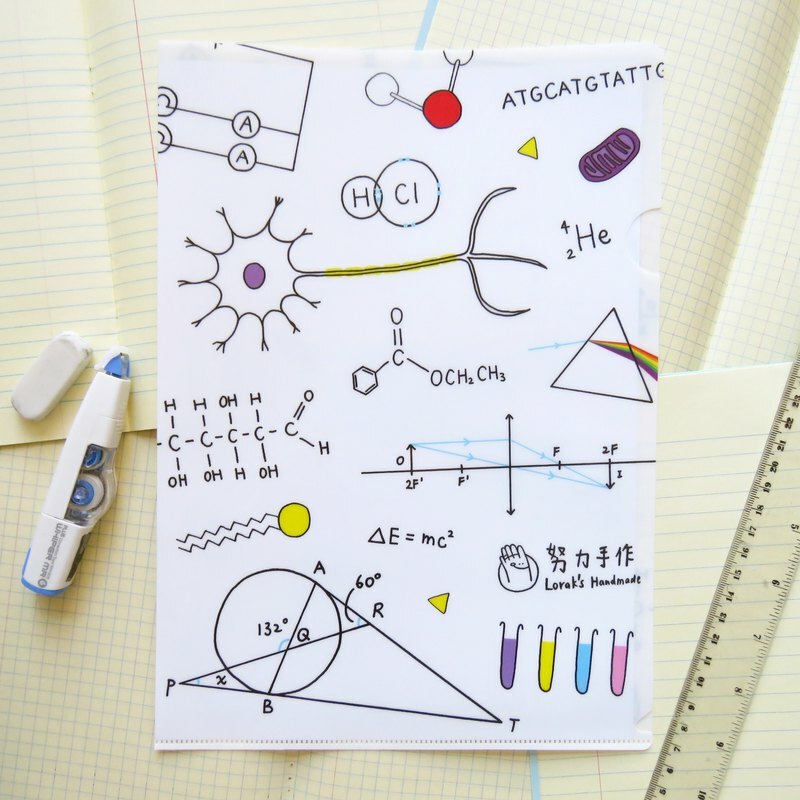 This file is full of graphic from Chemistry, Biology, Physics and Mathematics. Do you feel scared? . Details of the file: . Front https://c1.staticflickr.com/9/8608/28052948803_bcc9a2688b_b.jpg . Back https://c1.staticflickr.com/9/8124/28052949263_927f067c09_b.jpg . https://c1.staticflickr.com/9/8712/28384318990_15a216c6bd_b.jpg It's rigid!! . https://c1.staticflickr.com/9/8743/28590288681_2dded11874_b.jpg With opening . https://c1.staticflickr.com/9/8752/28052946393_f464f67b74_b.jpg It will stay with you during your learning :D . The whole design is done by myself. The quality of the file is good. :) Please allow for some variation in color as displayed on different devices and screens. Actual colors may vary.